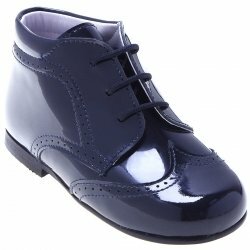 Nicely styled and top quality boys navy patent boots with high ankle support. Fastened by buckles. 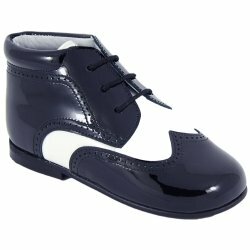 The material is navy patent leather upper with rubber sole. 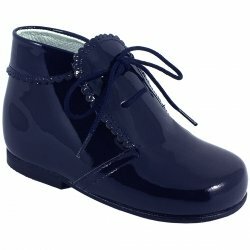 They are hand made in Spain by Tinny Shoes for Cachet Kids Shoes. 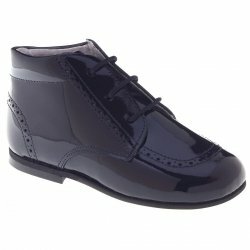 Sizes are given in continental sizes (& UK sizes in brackets). Please see sizing guide under Customer Services to convert to US sizes.